This exercise adds the resistance of the theraband to this shoulder stability exercise. To do this exercise you will need a mat and a theraband. Start by lying on your side with your knees bent. 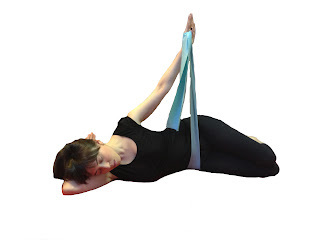 Place the theraband on the ground in front of you and secure one end of it with a weighted object. Grab the other end with your top arm. 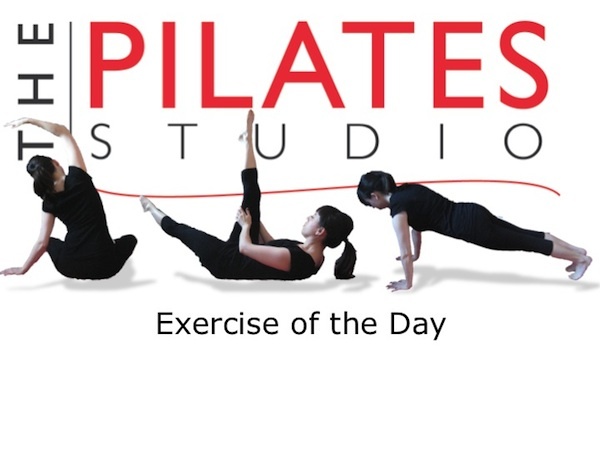 Inhale into the back of your ribs and then exhale as you rotate your arm outward and lengthen your elbow. Inhale as you release and then exhale to repeat. Complete 8-10 repetitions. As with any sidelying shoulder exercise you want to be sure that your shoulder girdle is organized and that your head and neck are safe. Be sure that your arm bone is congruent with the shoulder socket. Imagine the tissues of your shoulder sucking your arm bone into the shoulder socket.